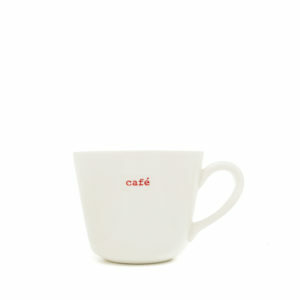 A vintage style, designer coffee mug for coffee lovers designed by Keith Brymer Jones. With the word “coffee” embossed into the porcelain body of this super white coffee mug, you can sure no-one will make you the wrong hot beverage again. The master ceramicist, Keith Brymer Jones, calls his designer coffee mugs his Bucket Mugs because of the shape. 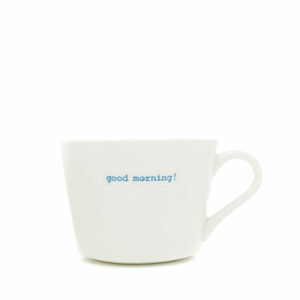 The words on Bucket Mug range are embossed in Keith’s distinctive retro typewriter font. Like all the designer tableware in the Keith Brymer Jones Word Range, the coffee mug has been thoughfully crafted to be stylish, practical, dishwasher & microwave safe. Enjoy your brew from the ultimate designer coffee mug. 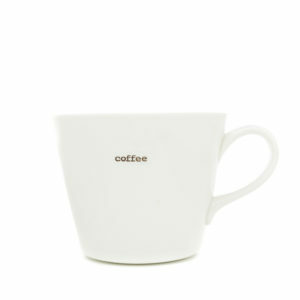 This Keith Brymer Jones Bucket Mug has the word “coffee” embossed by hand into the porcelain. A cool coffee mug that holds 350ml of your favourite caffiene fix. 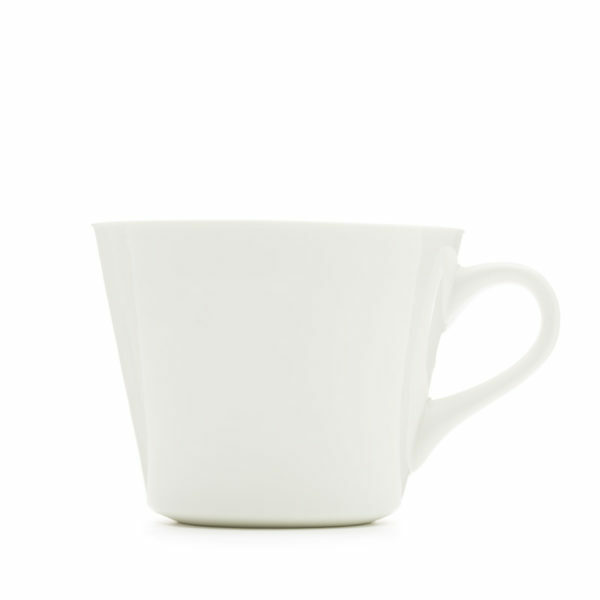 The unique Bucket Mug shape by master ceramicist Keith Brymer Jones has been thoughtfully designed in fine porcelain to work as both a stylish coffee mug & the perfect tea cup. The unusual shape of the Bucket Mug is one of its most recognisable features and was inspired by a an old bucket in Keith’s Whitstable pottery studio. The elegant taper is pleasing to the eye but a closer look reveals that it finishes with an unusually thin lip for a mug.